Zacha’s Bay Window Gallery Archive of the Mendocino Heritage Artists is a tribute to Bill and Jennie Zacha, their creativity, integrity, and considerable accomplishments, including the founding of the Mendocino Art Center, and their remarkable influence on the lives of those with whom they came in contact. 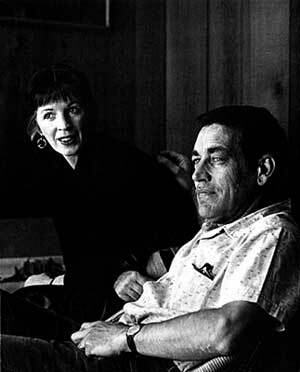 In addition to the Zachas, the Archive celebrates the other Mendocino Heritage Artists, Hilda Pertha, Dorr Bothwell, Fran Moyer, and Charles Marchant Stevenson, who came to teach at Bill and Jennie Zacha’s new Art Center, and stayed to make Mendocino their home. 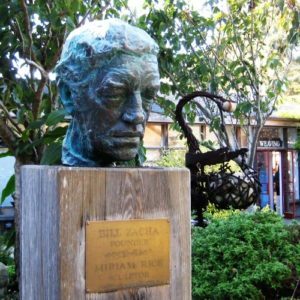 Toshi Yoshida came to teach at the Art Center, out of friendship with the Zachas, and then went back to Japan to create the Bunka, a center for art and culture in the historic little town of Miasa, now Mendocino’s Sister City. Visit the Miasa-Mendocino Sister City Peace Plaque on the bluffs overlooking the Pacific Ocean, in Mendocino Headlands State Park. For over forty years Zacha’s Bay Window Gallery represented the very best of Mendocino art. 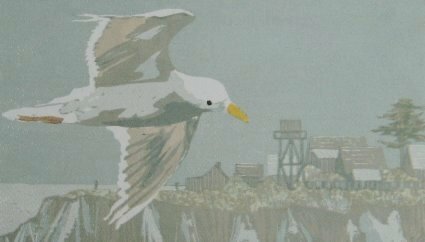 The spirit of Zacha’s Bay Window Gallery continues here, in the Archive of the Mendocino Heritage Artists. Dorr Bothwell used to say that everyone who comes to Mendocino has a story. She asked, “And how did YOU come to Mendocino?” Here are some stories of Dorr and her Mendocino friends. As you visit here, you have come to Mendocino too. 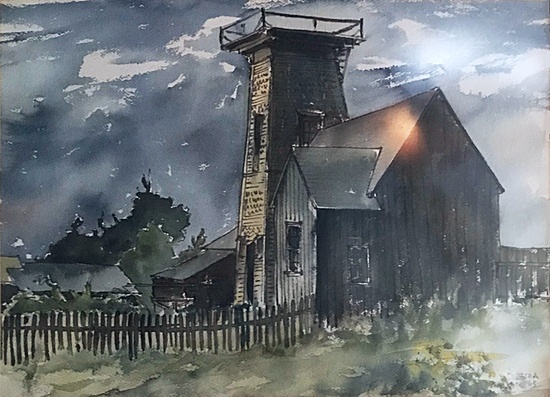 MENDOCINO HERITAGE ARTISTS: The Mendocino Heritage Artists’ pages contain a growing archive of artwork, articles and stories. Please contact us to share your photos and stories, or questions about the Mendocino Heritage Artists. Thank you!